Foremost authorities in the field present the basic concepts and essential clinical information for diagnosing auditory disorders, otologic diseases, and vestibular dysfunction. 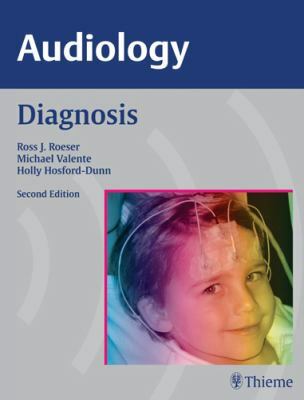 It features new information on neonatal hearing screening; assessment of vestibular disorders; and more.Roeser, Ross J. is the author of 'Audiology Diagnosis ', published 2007 under ISBN 9781588905420 and ISBN 158890542X. Loading marketplace prices 17 copies from $62.88 How does the rental process work?